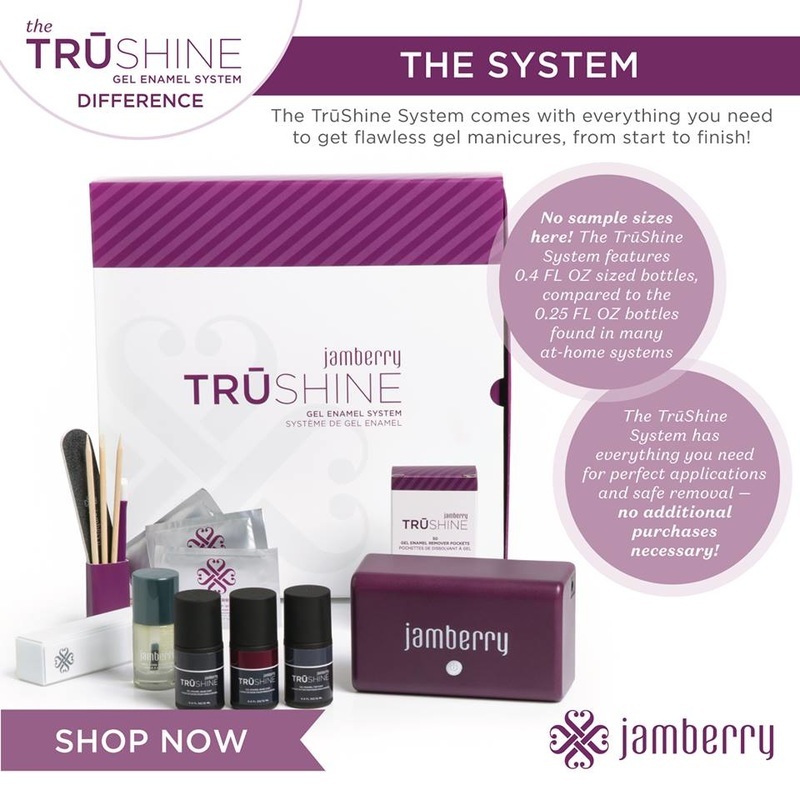 Contact us if you have more questions about the product(s) once you've had time to explore the site. 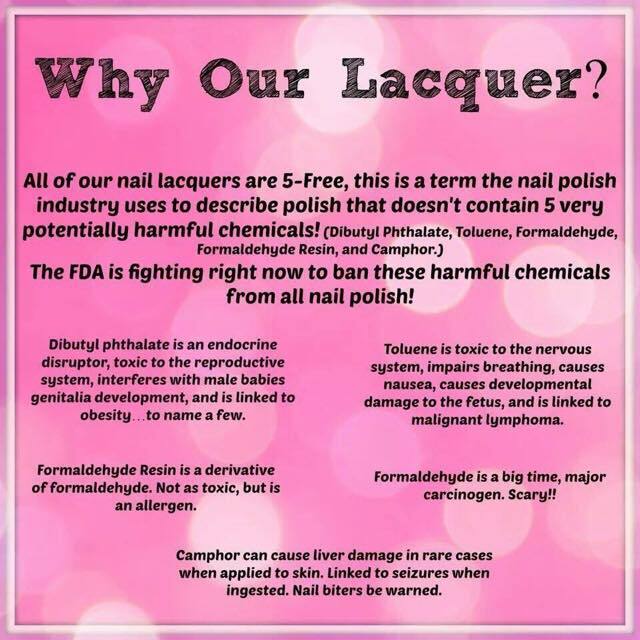 What makes your lacquer better than other's that are cheaper? 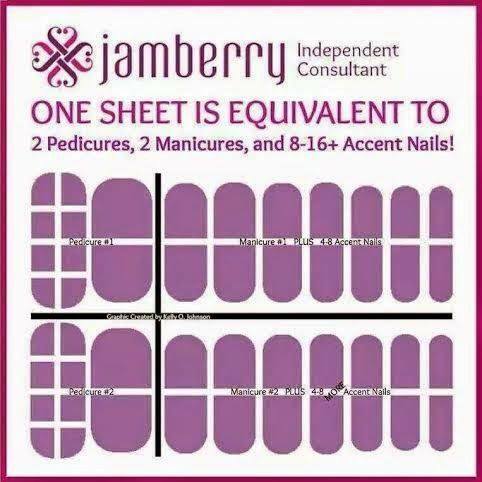 How Many Applications From 1 Sheet Of Nail Wraps? 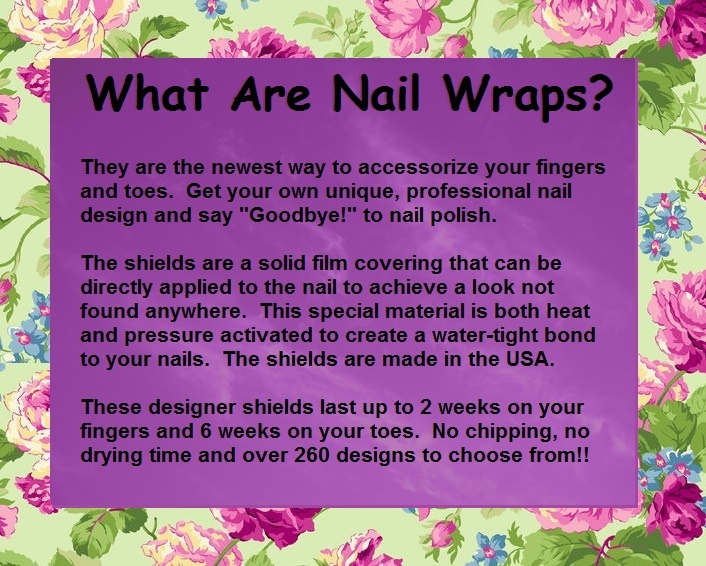 Sounds good and all, but how long will the nail wraps last? These are wraps that were on ME. The middle finger wrap on Day 2 I decided to change out since I thought the pattern matched better but then decided to not switch out the pinky. Yes, this is how my crazy mind works! 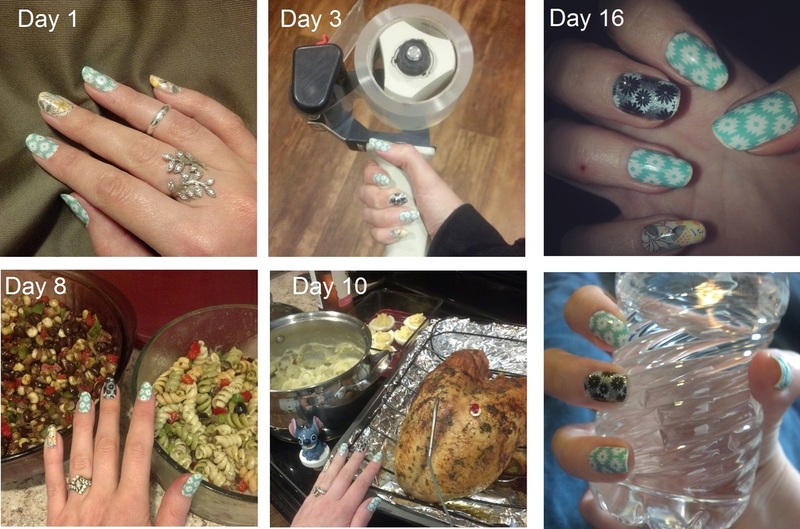 By day 21 (water bottle pic) I gave up with the mani and did something different. But as you can see, I could have gone longer! This was during our packing to move weeks, normal cooking, excessive cleaning and normal daily life. 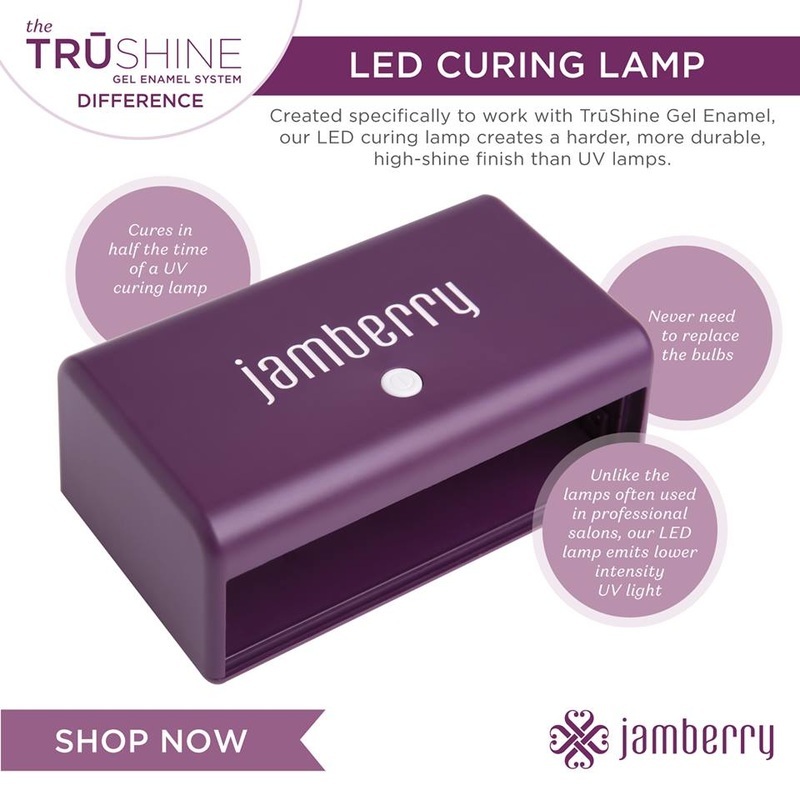 Jamberry is all that I've been using since Sept 2014. Yep, these are my 'ugly' toes! 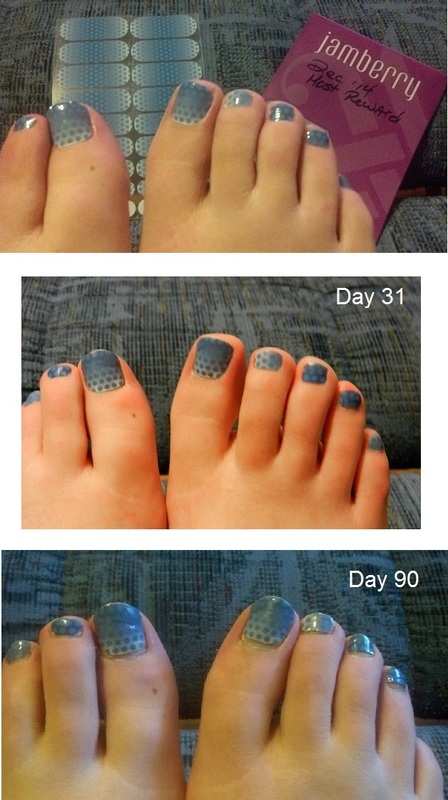 My nails don't grow much so I am able to have the wraps on for 90 days and you don't see too much grow-out. This was during the winter months, so lots of socks, slippers and boots! With a proper seal you can get a long wear time with them, even through hot baths and showers.